My store in the Virtual World Second Life® (http://secondlife.com/) Flexi, sculpted, curly and straight hair do's, casual fashion, skins and way more! 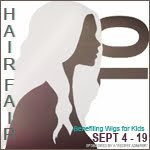 Come visit MINA Hair fashion in world! ..oh..Did I forget you? Let me know! Fashion Feed of SL . Looks like you've found a new home there.